If you are a Boston movie fan I am sure you have been keeping up with the ups and downs of the film industry here in Massachusetts. Whether you agree with the tax credits given to the film industry or not it would be hard to find someone who doesn’t think it’s neat to see the likes of Tom Cruise, Bruce Willis, Leonardo DiCaprio and Mark Wahlberg walking our streets. This is just a sampling of the star power we have been seeing filming movies in the Boston area. a year-long celebration of movies filmed in the Bay State. These cinematic treasures – both historic and contemporary – are pulled from the Boston Public Library’s vast media collection. 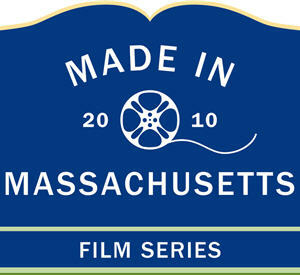 Organized into monthly themes, the series highlights the local people and places that have lured Hollywood and independent filmmakers to Massachusetts over the years. Though the Film Series takes place for the rest of the year May has been a little different. During May the library has brought in speakers from both the artist and film maker side to answer questions about their work after the screenings. The screenings which take place Monday evenings at 6:00pm are free. The final 2 films in May are What’s Going On Up There(narrated by Leonard Nimoy) which is being shown tonight and Touching the Game: the Story of the Cape Cod Baseball League which take place next Monday the 24th of May. Tonight’s screening will be followed by an appearance by Dr. Maryanne Galvin a documentary filmmaker. Next week’s special guest will be sports documentarian Jim Carroll. Visit the BPL’s dedicated Made in Massachusetts page for more info. It’s pretty neat to see the list of movies and where they did some filming in Massachusetts. This is a great free thing to do on Monday evenings for 2010.